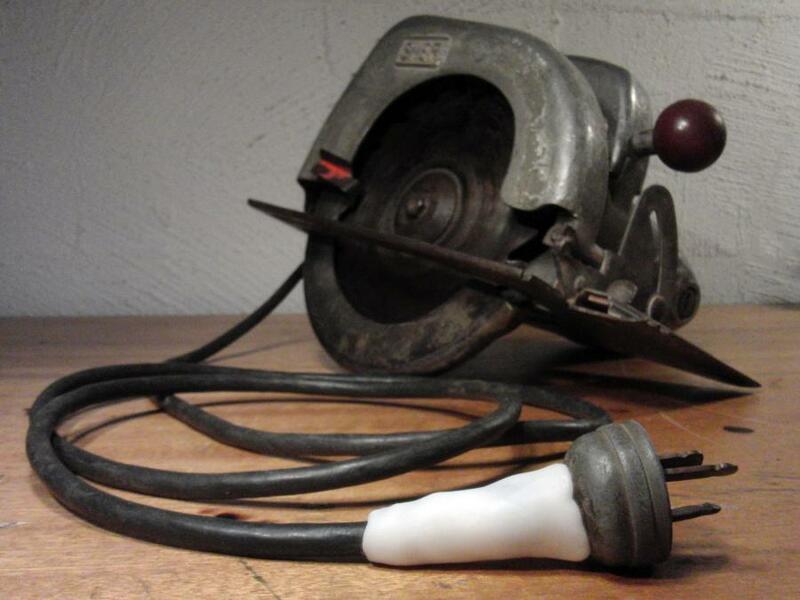 This vintage circular saw was in perfect working order, except for the cable sheathing around the power plug, which had started to come loose. After ensuring that the wiring was sufficiently insulated and in good working order, we formed a blob of warm Plastimake around the problem area. Although heat shrink would be the traditional solution for this problem, using Plastimake means that we didn't need to cut off the plug to slide the heat shrink on. As always, you should only work with mains electricity if you know what you're doing!